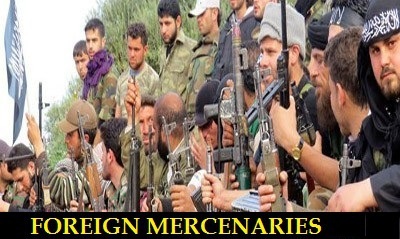 JNN 10 May 2014 London : Austrians seeking to fight in the Syrian war will lose their nationality, Austria Press Agency said confirming reports regarding this matter Monday. According to the agency, Minister of Foreign Affairs Sebastian Kurz, Minister of Interior Johanna Mikl-leitner, and Justice Minister Wolfgang Bransetter all confirmed a batch of procedures to strip the Austrian nationality from individuals participating in foreign combat activities. This procedure will only apply to those having dual citizenship as for those with only the Austrian nationality the matter is different, said the press agency. Other measures included preventing minors from traveling outside the euro area without the consent of their guardians. A group of UK lawmakers have called on London to revoke the passports of the British nationals travelling to fight against the government in Syria along with foreign-backed Takfiri militants. In a report on counter-terrorism, British MPs from the Home Affairs Committee of the parliament’s House of Commons said on Thursday that revoking passports is an essential tool to stop Britons from travelling to join the Takfiri fight against the Syrian government. The committee also called on the government to adopt “immediate” measures to prevent Britons from heading to Syria and other conflict-torn countries, stressing that such British nationals will later pose a “terrorist threat” to their home country. Keith Vaz, the committee chairman, also said it was necessary for London to prevent “British men and women” from going abroad and operating as foreign fighters in different conflicts worldwide in an effort to protect Britain’s future security. Recently, foreign nationals operating alongside terrorists in Syria and Iraq have threatened to wage devastating wars against their own governments. Earlier this month, videos posted online by the terrorist Islamic State of Iraq and the Levant (ISIL) showed foreign militants ripping their passports and burning them to display their commitment to their mission. The clips were probably recorded probably in northern or eastern Syria. In the footage, a man who claims to be Canadian says the militants are determined to destroy Western and Arab tyrants after accomplishing their mission in the Middle East. Thousands of foreigners, mainly from Arab and European countries, are reported to be operating against the Syrian government. Western spy agencies have already warned that the foreign militants pose a potential security threat when they return home. This entry was posted in Middle East and tagged Austria Press Agency, Austrians, British Nationals, Foreign Affairs Sebastian Kurz, Foreign Fighters, Home Affairs Committee, Johanna Mikl-leitner, Justice Minister Wolfgang Bransetter, Nationalities, Syria. Bookmark the permalink. “Not in Her Majesty’s name”…. passports are issued to the indigenous citizens, to travel the world for pleasure (visits to foreign lands for example holidays or visiting friends or relatives), economics, as in migration , but certainly not to promote terrorism and than to bring back home your acquired “skills”.Certainly British Citizens who promote terrorism or part take in terrorist activities, their citizenship should be rescinded, therby they would revert back to their orignal nationality or to the nationality of the country or group of fellow terrorists, who mostly are from the land of wahabi abdulla and who would be able to give them asylum or citizenship of his desert land. NOW THESE TAKFIRIS WITHOUT THE HELP OF BRITISH AND AUSTRIANS AND AMERICANS TOO THEY ARE GOING TO EAT THEIR DUST . THEIR HONEYMOON IS OVER AND THE END IS NEARER TO NEAR INSHA ALLAH .